Told in the first person, a doctor begins writing in a journal for her own sanity after a magnetic pole reversal. She survived by hunkering under an antique French farmhouse table, but she is separated from her husband and twin children, who are at their cabin in South Park, Colorado. The end of the world as we know it has happened. Faced with the burden of being alone, she must brave the apocalyptic environment to try and get to her family. She isn’t alone long, when she finds a make shift camp in a park. There she meets Isolde, with whom she has a strange palpable connection. Isolde is waiting to meet up with her twin brother Ian. Together they band with a few other interesting characters and begin to transform the make shift camp into more of a community. After learning of geographical catastrophes as well as political and military discourse, the doctor and her new kindred group set out on their mystical adventure. There is a heightened sense of an ethereal energy that is affecting everyone. Psychic ESP is heightened and much more. There is a new continent that has emerged during the pole shift and that continent is Atlantis. As a shaman, I love working with ethereal energy and crystals. 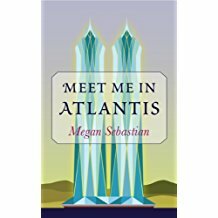 I have always been fascinated by stories of Atlantis and all the mystery surrounding it. This story encompasses all the mysteries of ethereal energy that I find to be universal truths and that is what I loved about it. The encompassing way ethereal energy is portrayed in this book is magical and well done. The story does have some political and social outcomes as well as some personal conflicts that some readers may find challenging. I enjoyed this book and was left wanting more at its end. Maybe that is coming in a sequel.